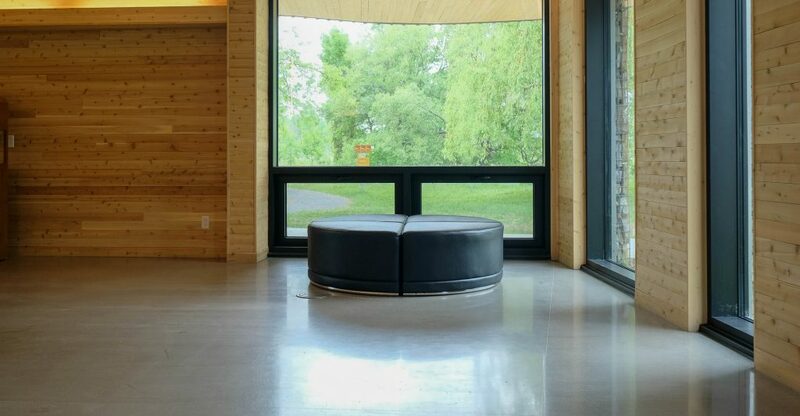 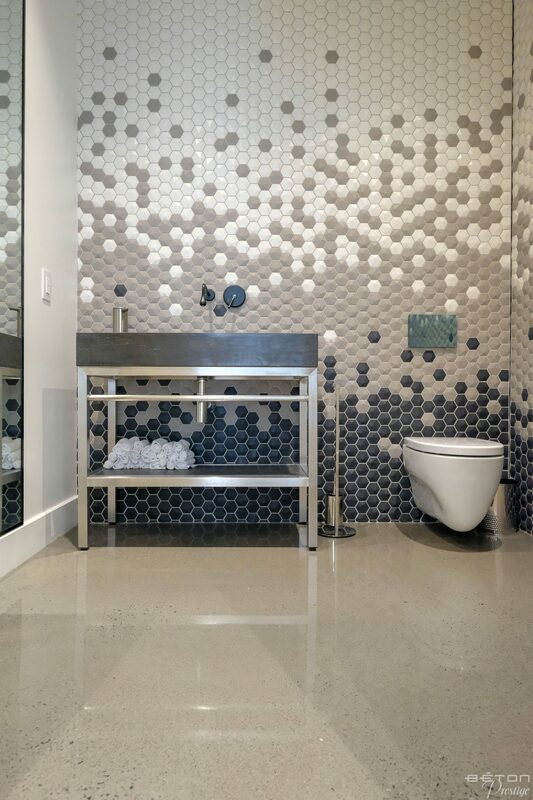 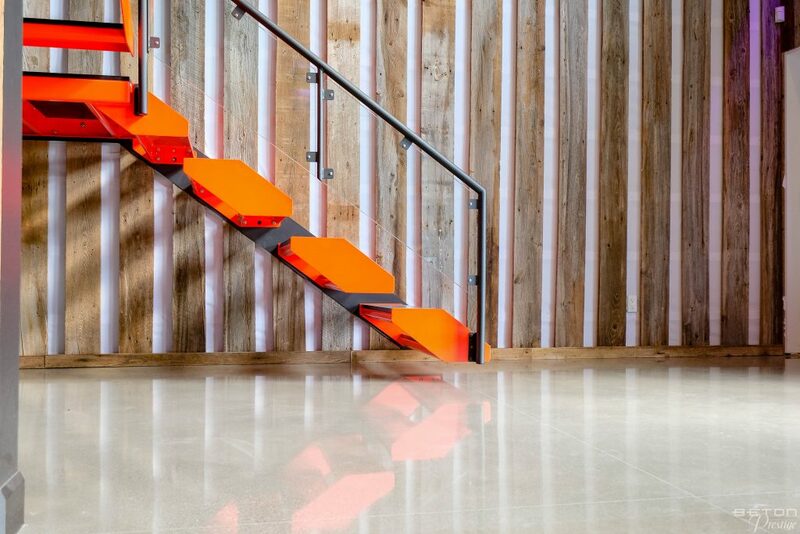 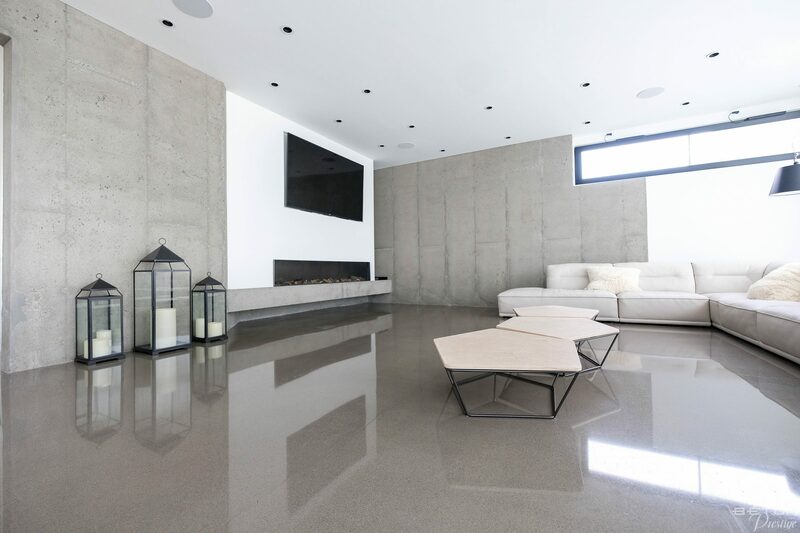 In this current architecture, the coloured polished concrete floor with « Shadow Grey », pigments is in direct contact with the visible foundation walls. 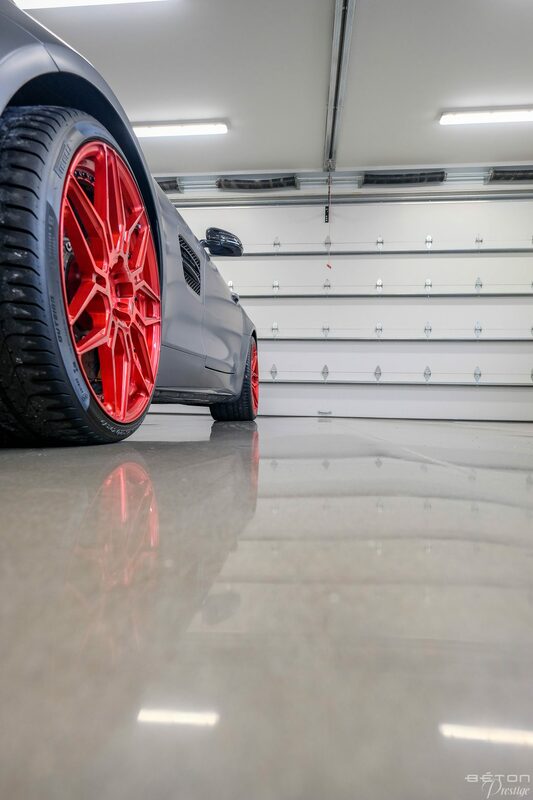 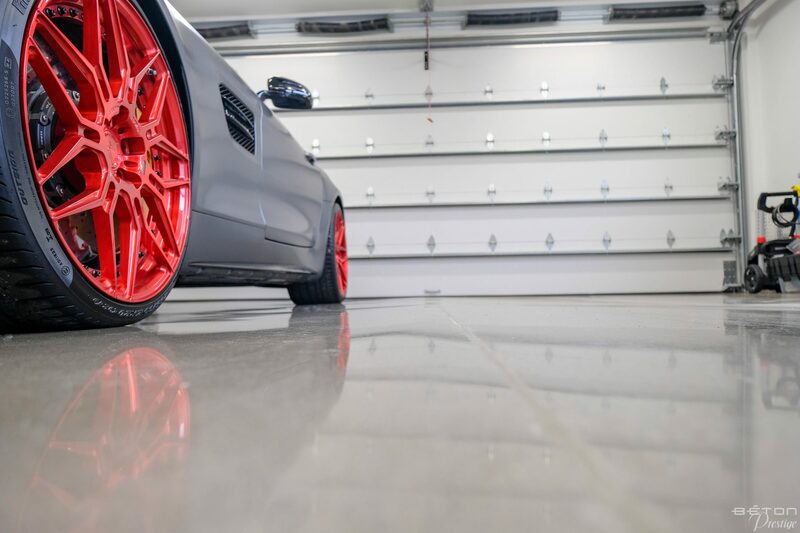 The ease of maintenance of polished concrete is welcome, especially in the garage where the owner’s “indulgence” vehicle is stored. 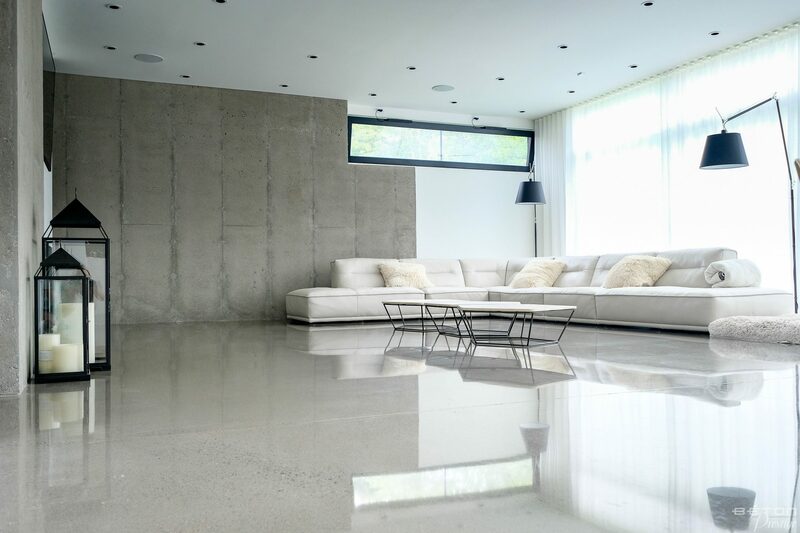 In this context, the features of easy maintenance and durability of the product tipped the balance. 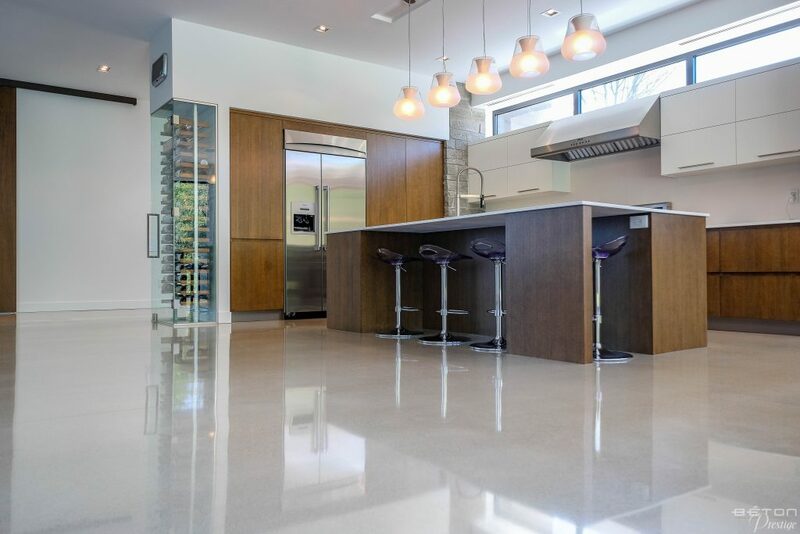 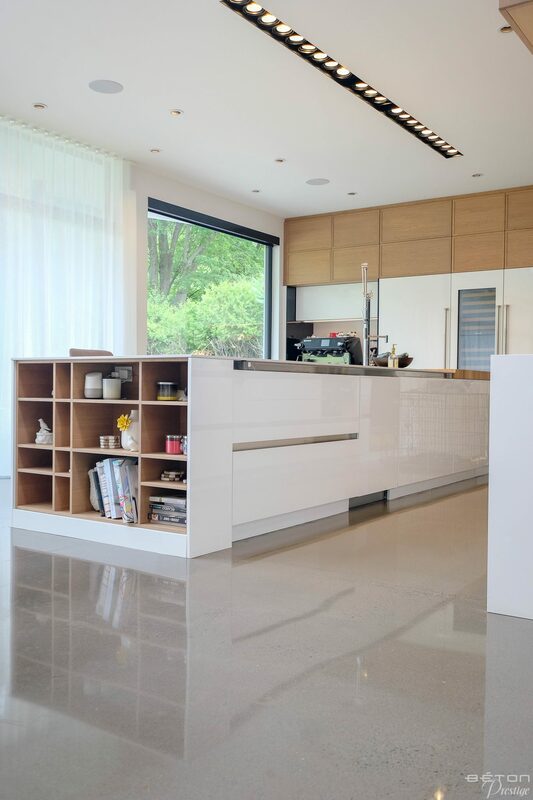 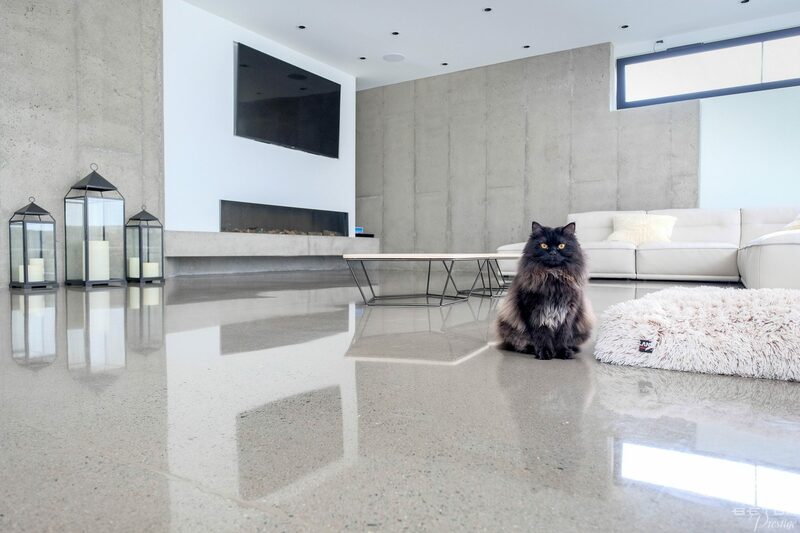 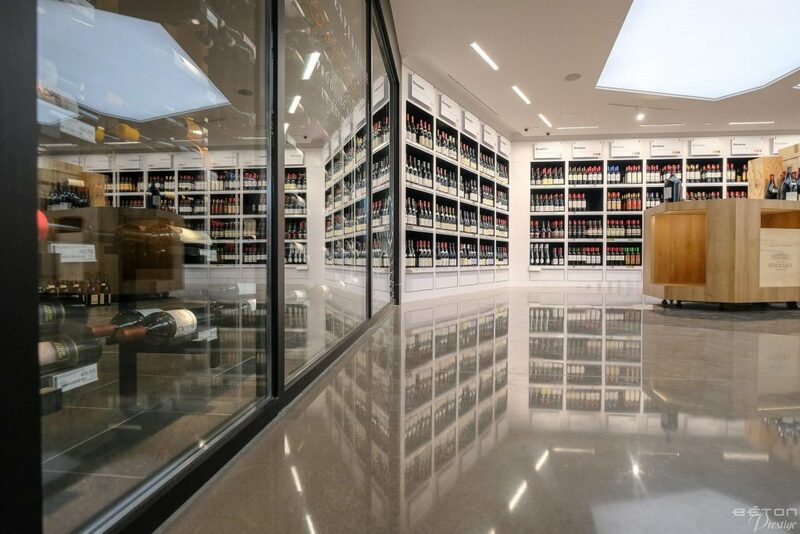 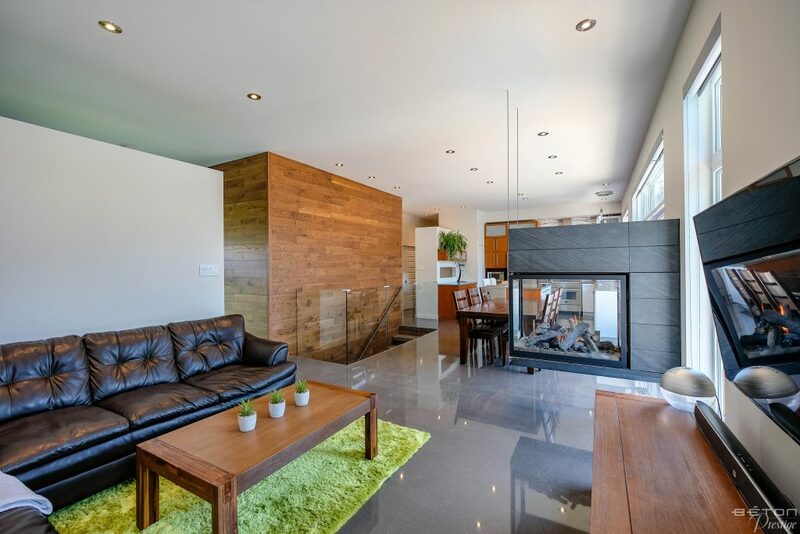 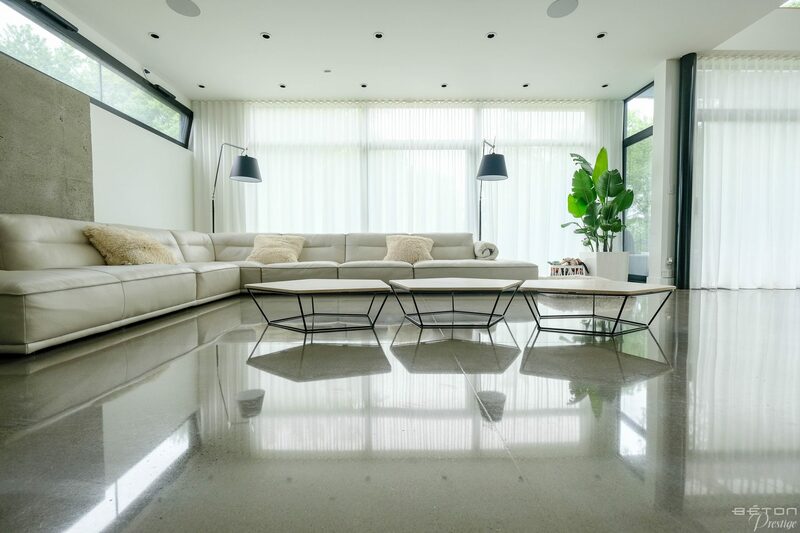 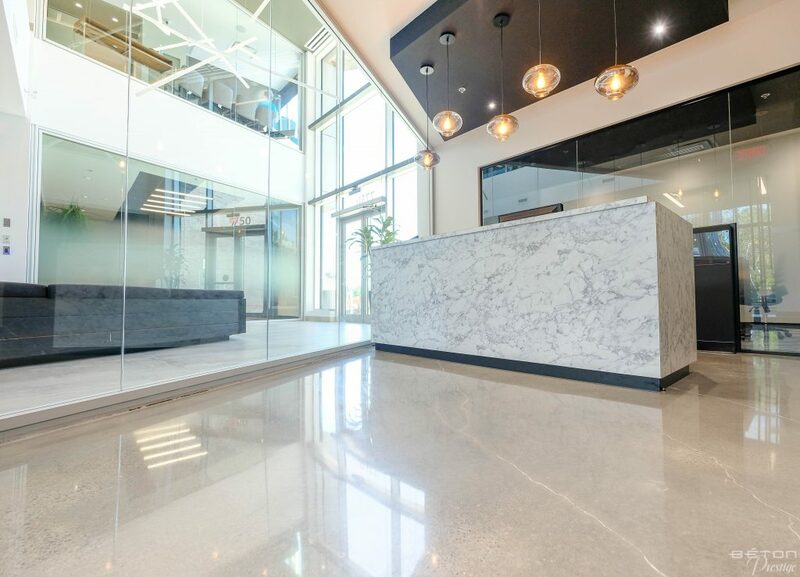 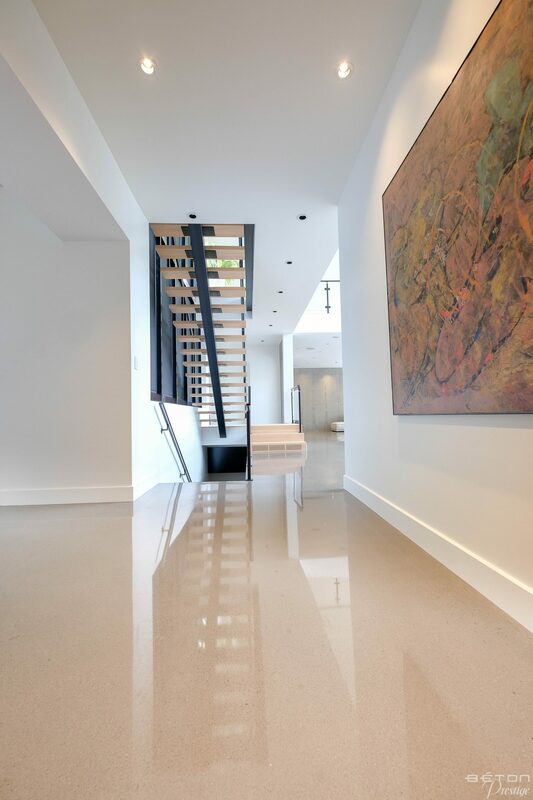 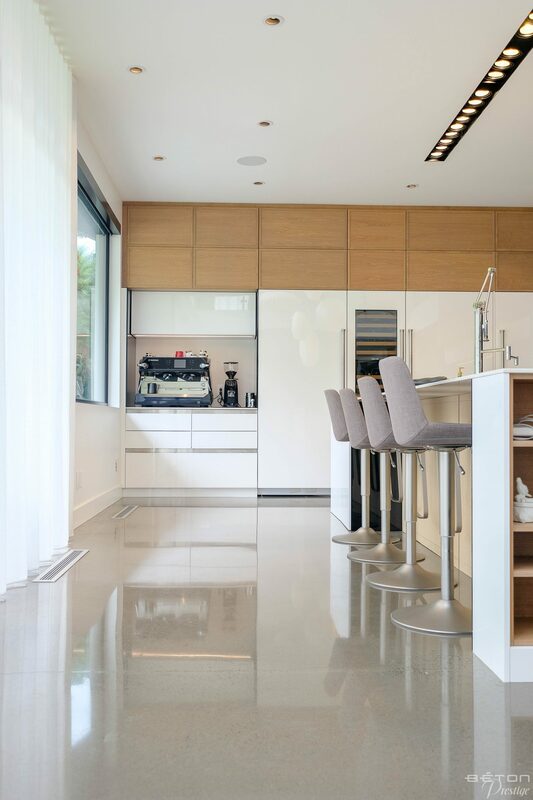 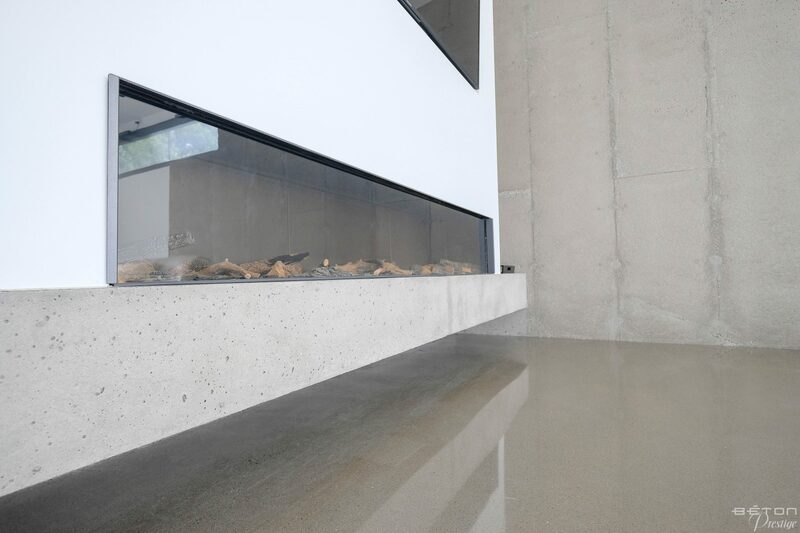 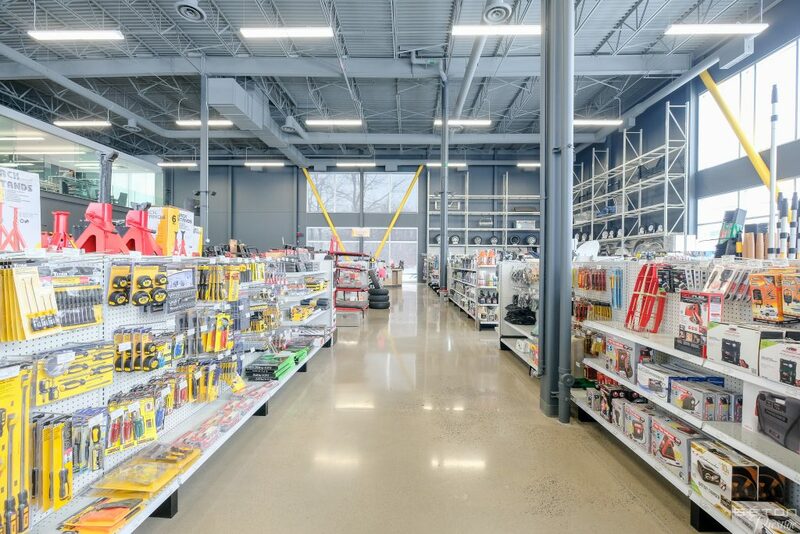 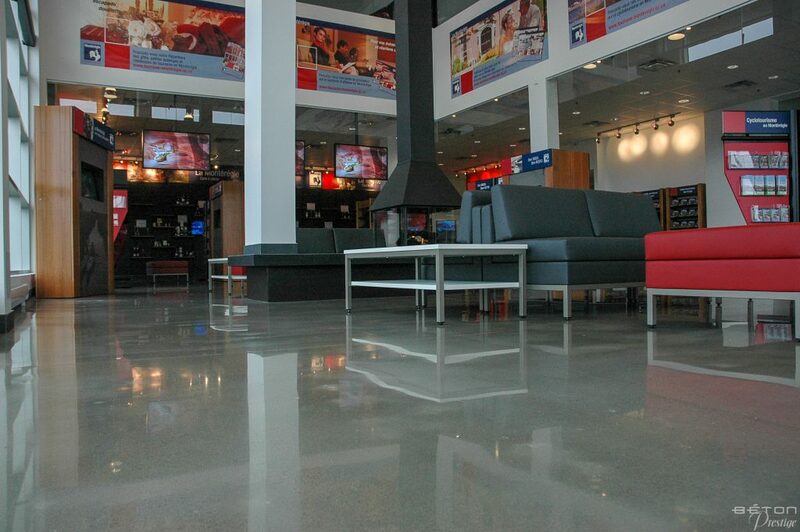 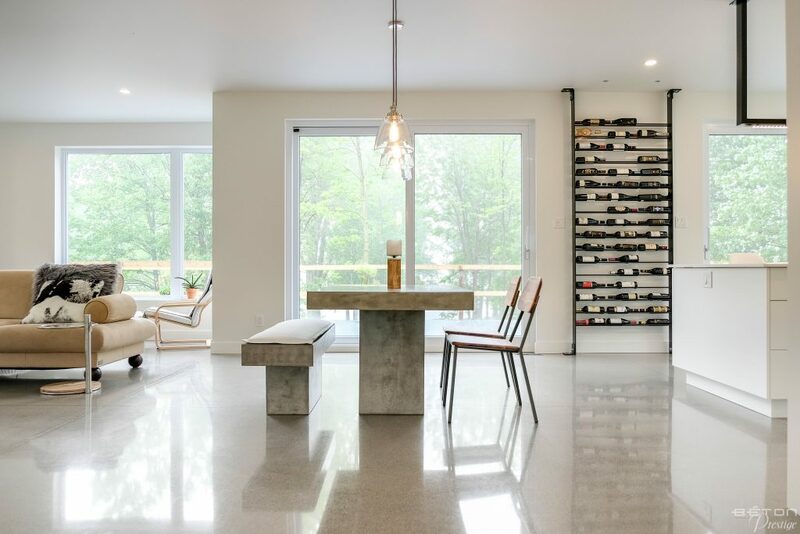 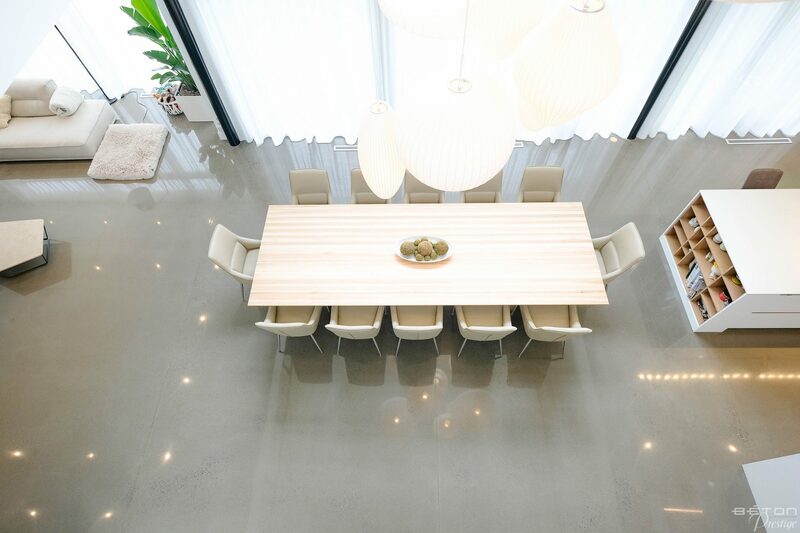 The polished concrete floor was therefore the optimal choice.